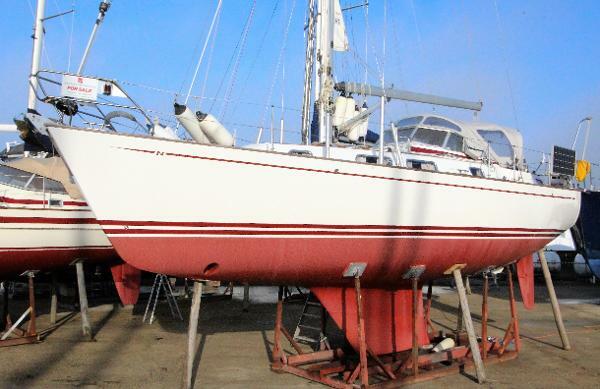 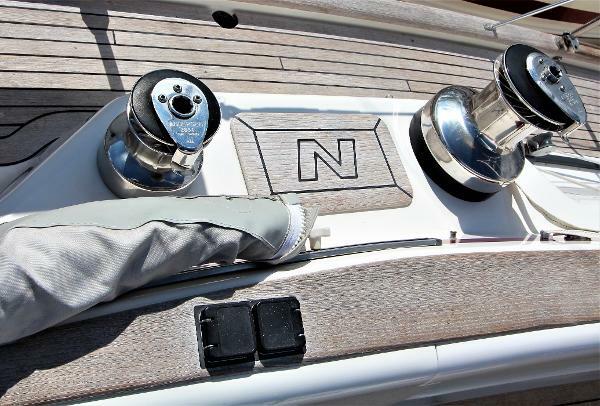 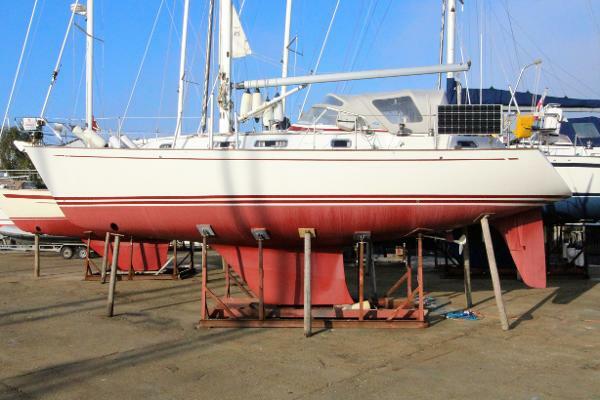 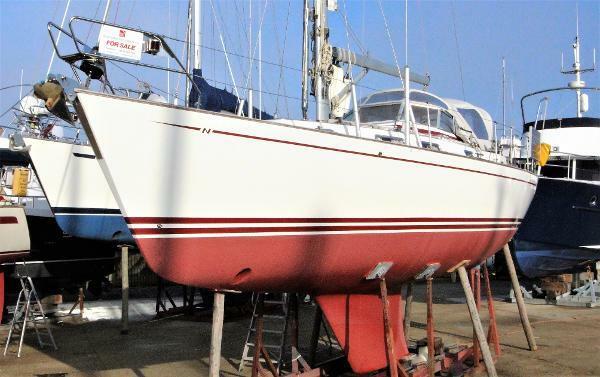 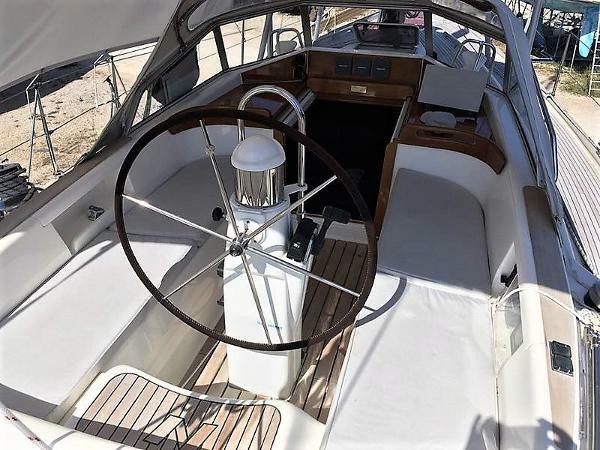 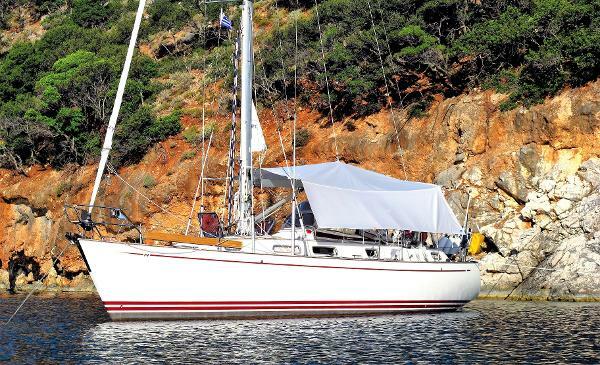 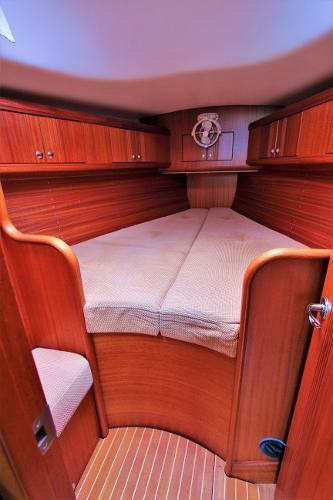 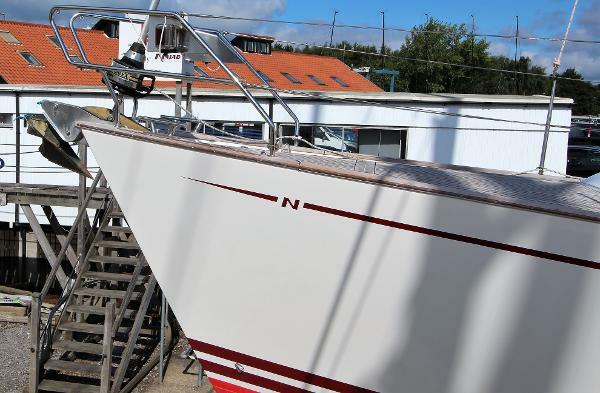 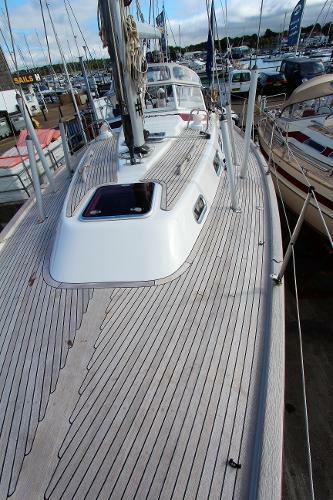 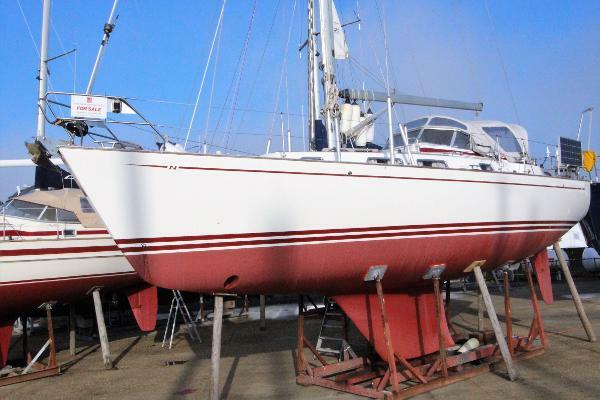 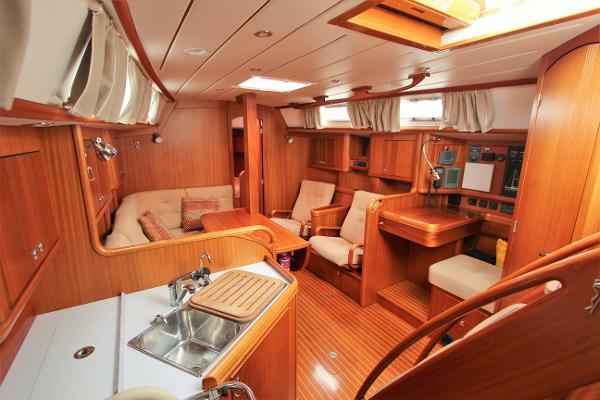 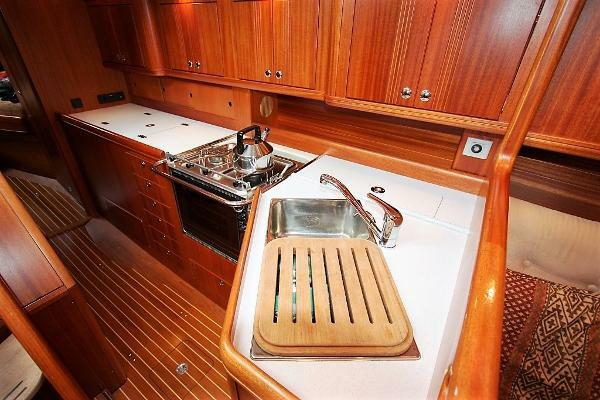 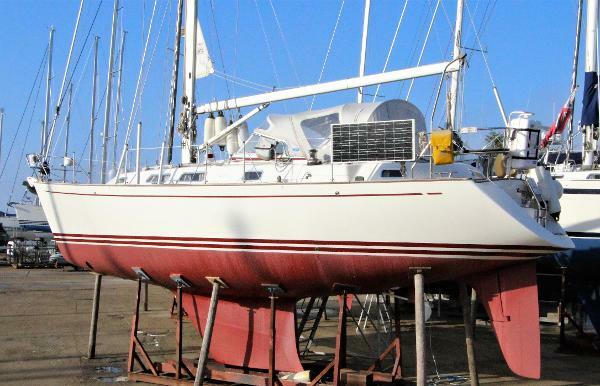 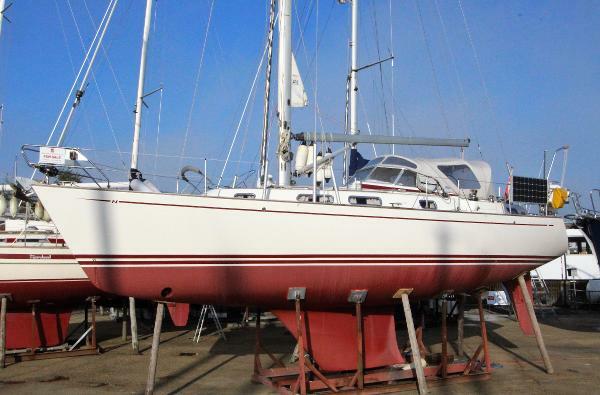 Najad 380 for sale - "Super Trouper" - An outstanding cruiser, perfectly equipped to be easily handled by two people. 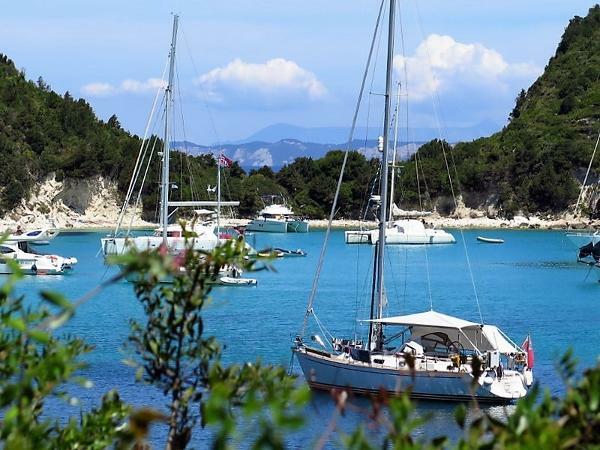 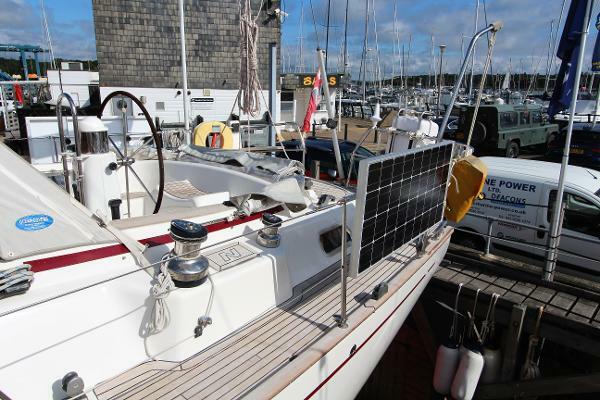 Very comfortable and sea kindly - her extensive specification includes electric winches, in-mast furling, bow-thruster, and a diesel generator. 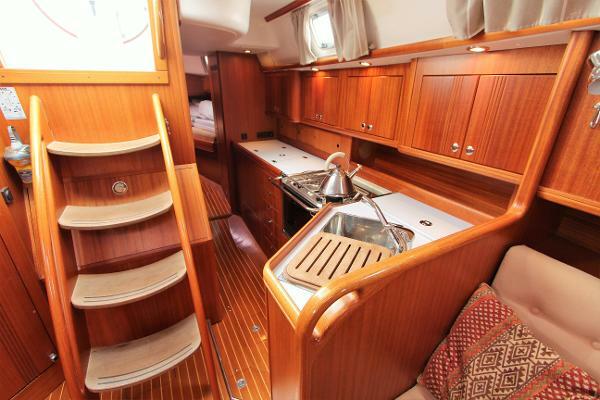 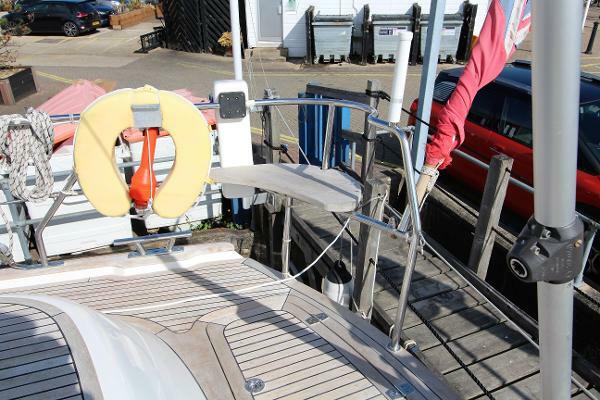 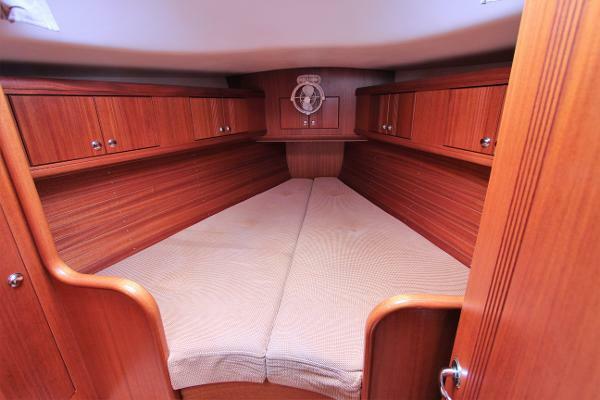 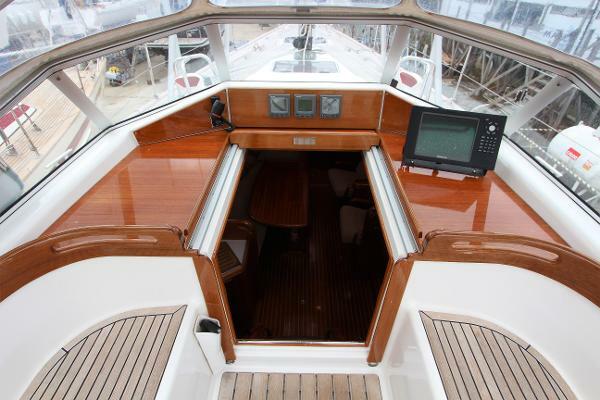 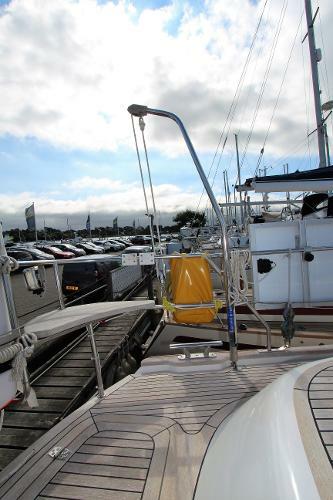 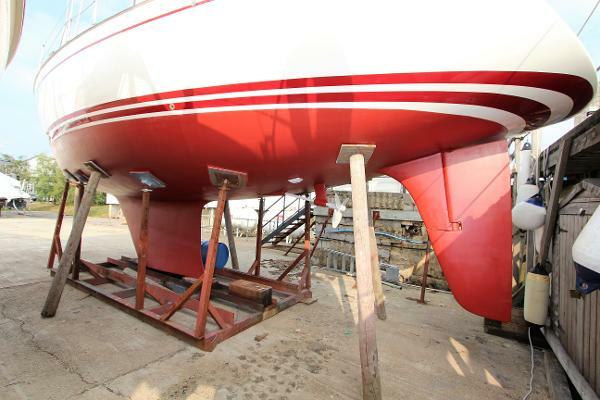 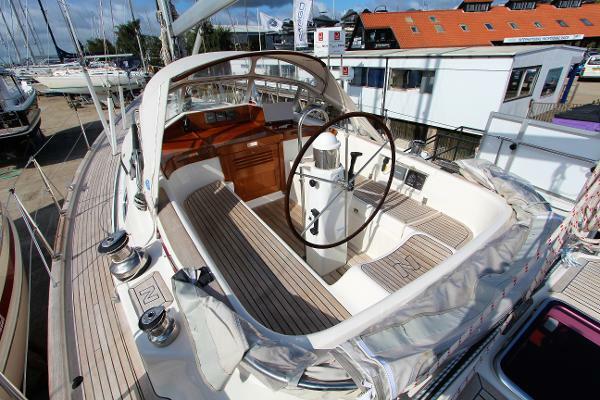 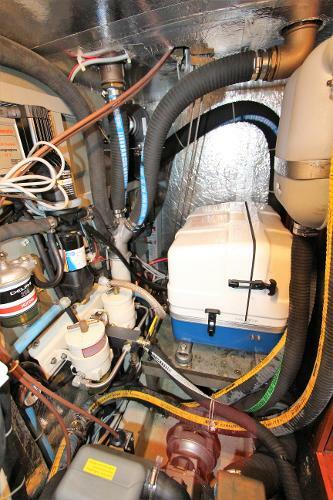 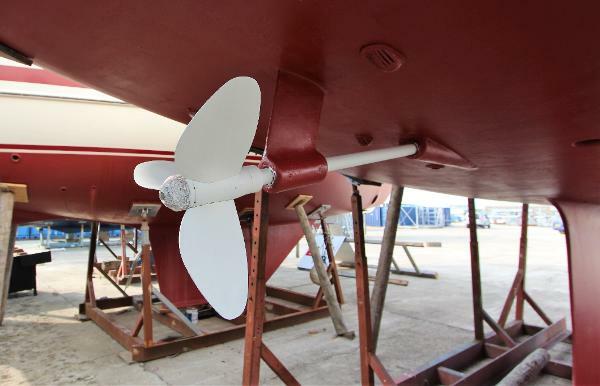 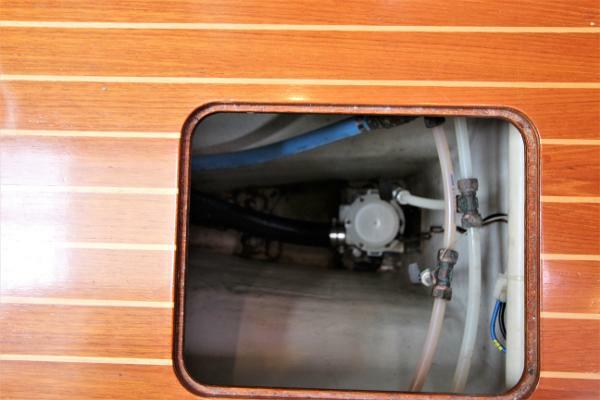 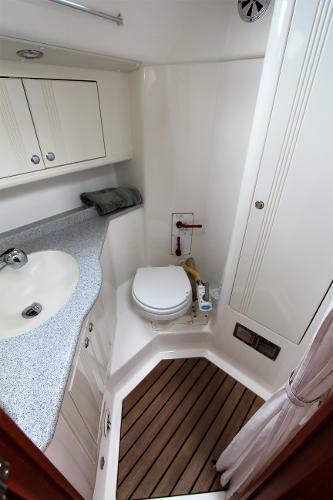 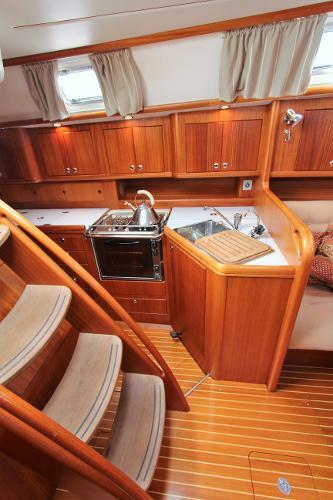 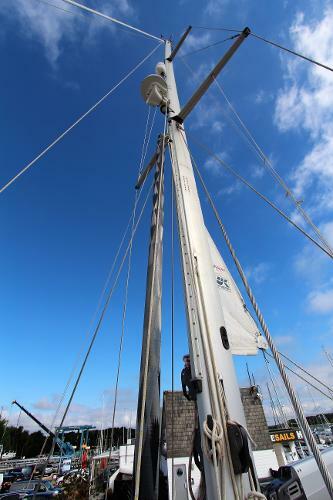 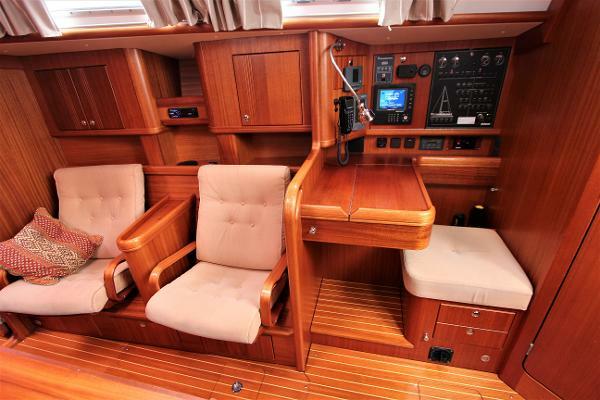 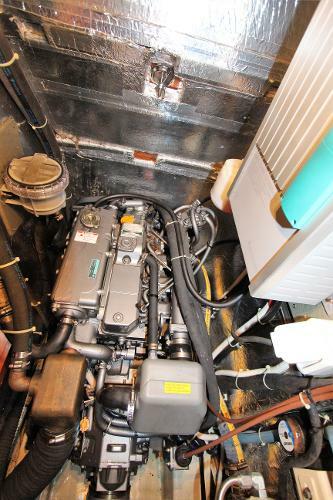 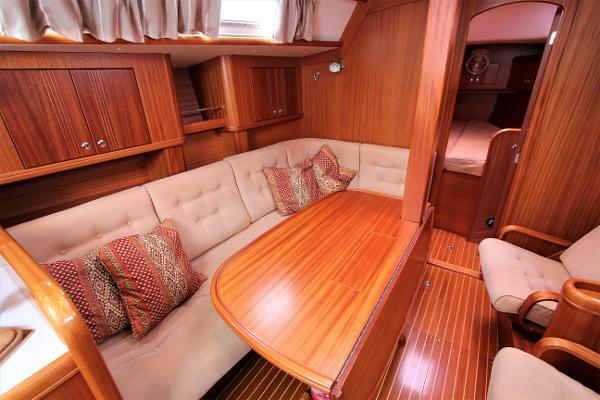 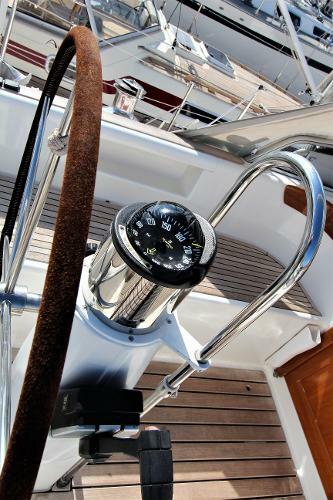 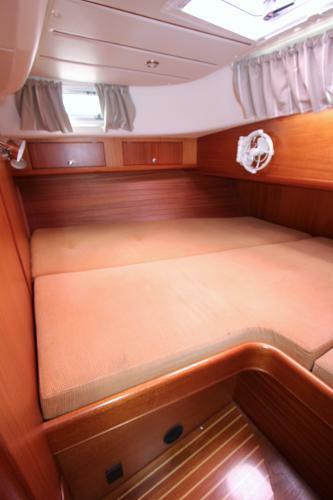 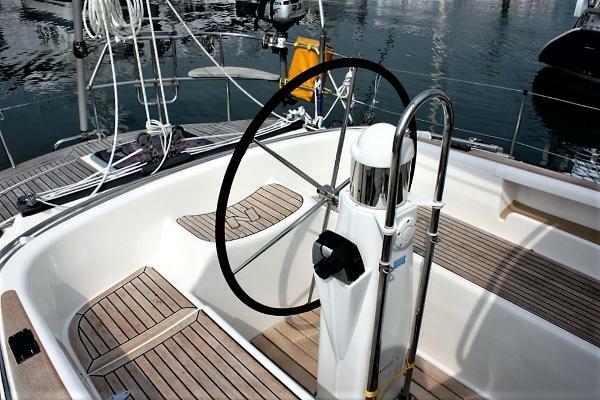 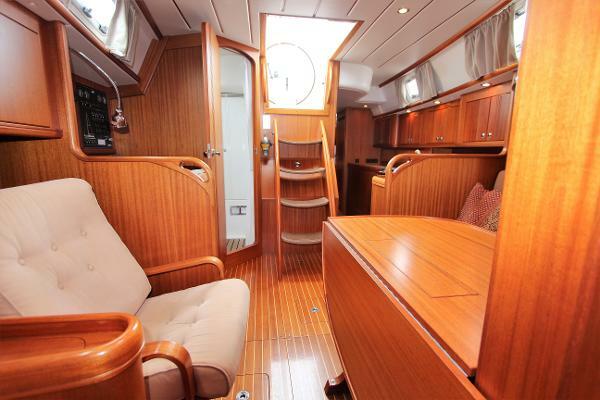 A safe, secure, blue water cruising yacht, with outstanding build quality! 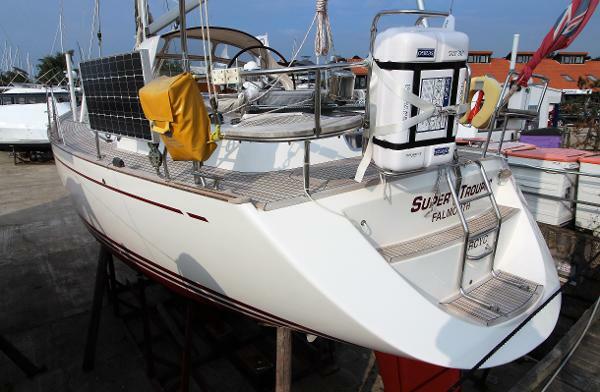 Super Trouper is a sistership to the boat sailed by Jeanne Socrates on her record-breaking single-handed nonstop circumnavigation. 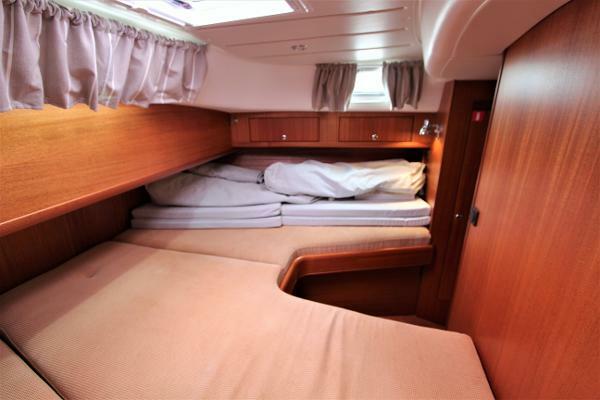 Light coloured upholstery fabrics on bunks. 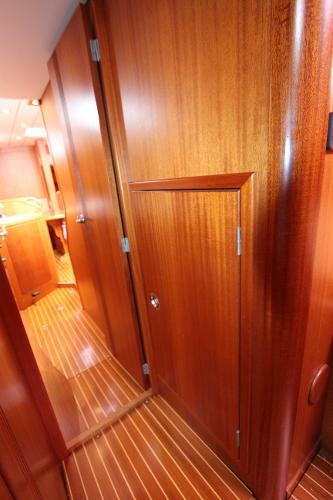 Hand rubbed satin African mahogany woodwork. 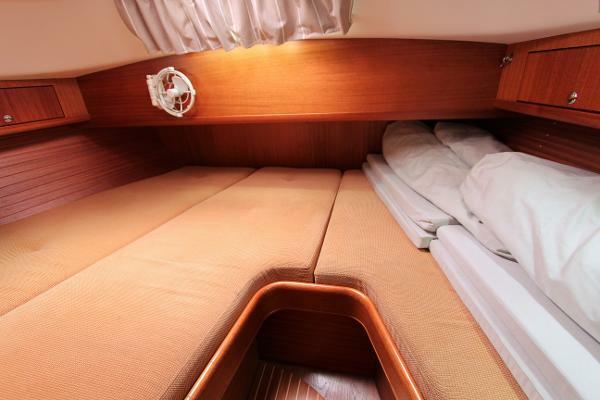 Settee removable back to make wider sea berths to starboard. 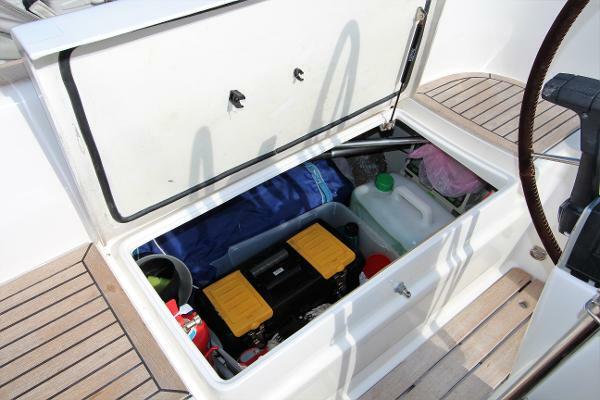 Wine storage in the saloon table. 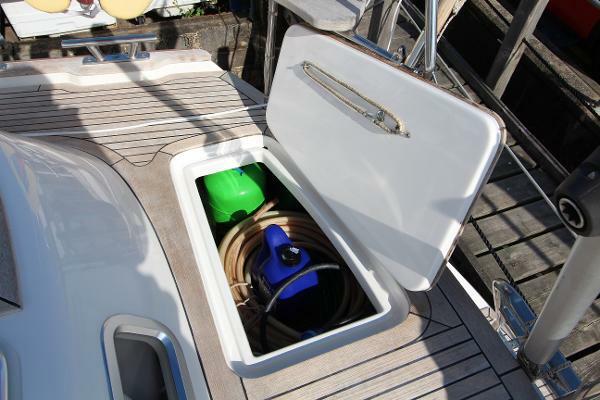 Lift up lid for chart storage. 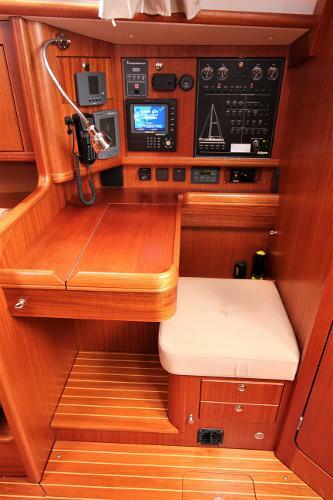 Drawers under the navigator's seat. 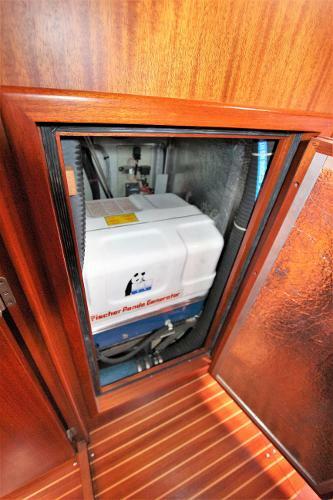 Wet locker (heated from diesel heater, for drying). 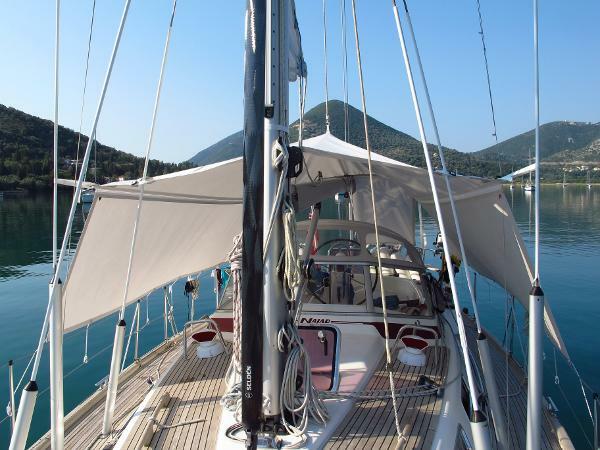 An all surrounding sun awning covering from mast to transom. 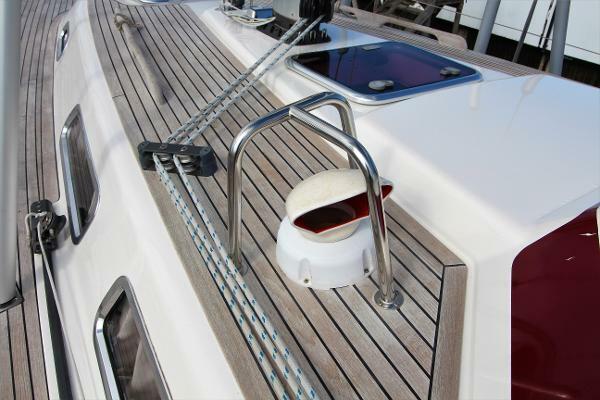 To be used at anchor/marina for superior sun shade. 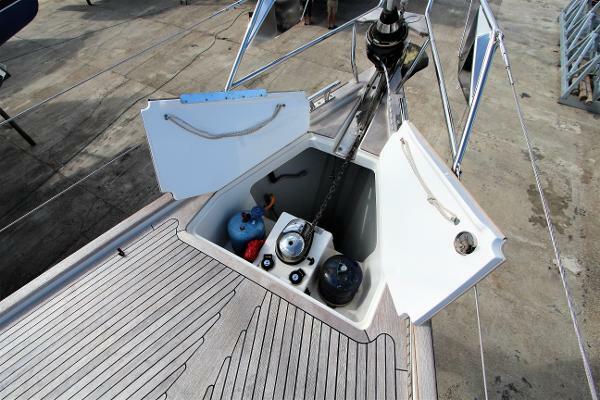 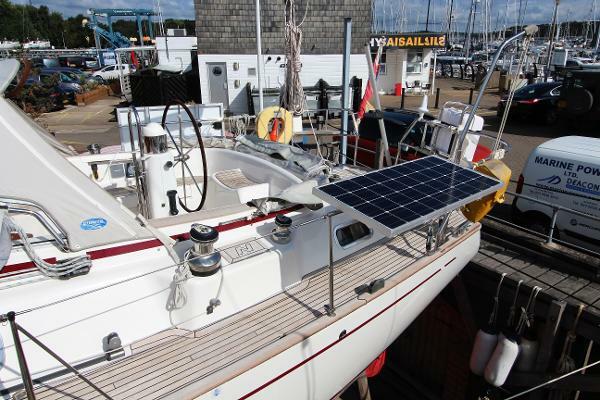 2X 100W solar panels that are stern attached with NOA adjustable mounts.